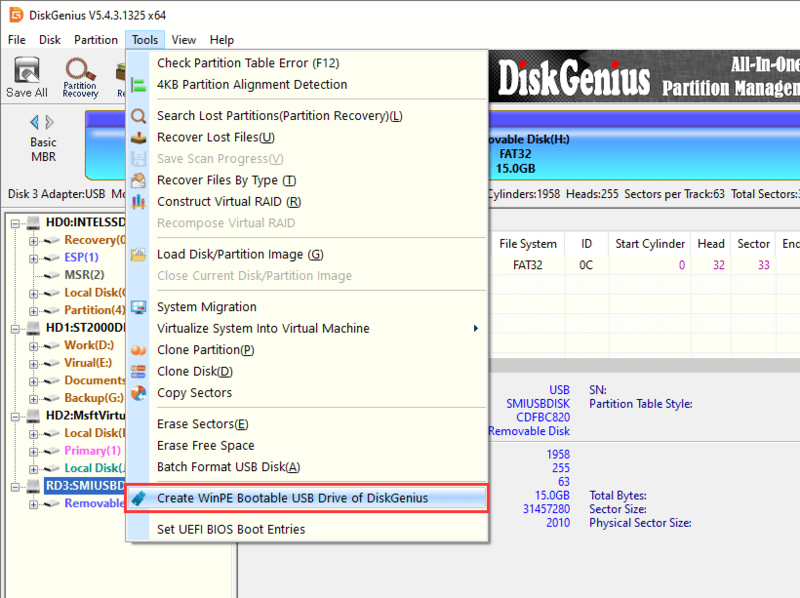 DiskGenius supports to make bootable USB disk based on Windows PE so that you can recover lost data, manage disk or backup data without booting system. Step 1 Insert a USB drive and launch DiskGenius. 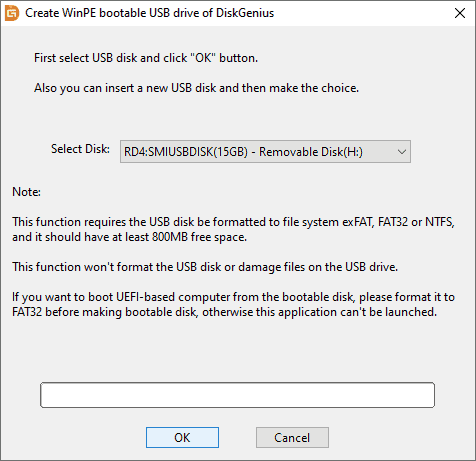 Click "Tools" menu and choose "Create WinPE Bootable USB Drive of DiskGenius" option. Step 2 Click OK button from the pop-up window. Wait for a couple of seconds and the bootable disk will be created. Step 3 Click OK button after the bootable disk is created successfully. This function requires the USB disk be formatted to file system exFAT, FAT32 or NTFS, and it should have at least 800MB free space. This function won't format the USB disk or damage files on the USB drive. If you want to boot UEFI-based computer from the bootable disk, please format it to FAT32 before making bootable disk, otherwise the application can't be launched.